Potentiometer and switch all in one device, push-pull action of the shaft controlling the on-off of the switch (pull is on, push is off). The switch part is positioned at the rear of the device is a STSP (2 terminals), it is rated at 125V AC 3A, so it is not suitable for UK voltages. The potentiometer follows the standard CTS setup. 9.5mm diameter panel cutout, diameter of shaft is 1/4 inch (6.3mm) bush and shaft is 26mm in length when pulled, 22mm when pushed, bush is 9.5mm in length. 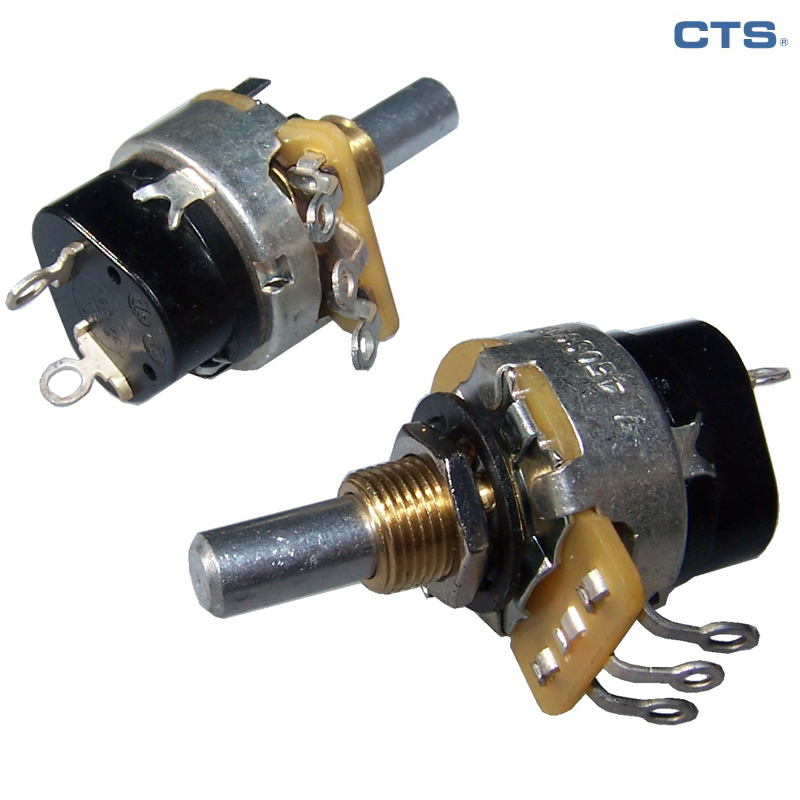 CTS 041-TMG metal shaft, bushing mount wuth insulated plate, type "T" solder lug terminals.